According to the state forest department, 280 of 800 hutments in Bheemchaaya Nagar are built on protected land. Their fate, at present, is hanging in court. Mumbai: For ten-year-old Omkar Khandale, this summer vacation has not brought languid days of playing with friends. Instead, he has been struck by fear and anxiety about what the coming year will bring. While his mother Lalita gathers their belongings from the place that has been her home for over 22 years, Omkar’s main concern is about what will happen to his schooling. Their fate, at present, is hanging in court. 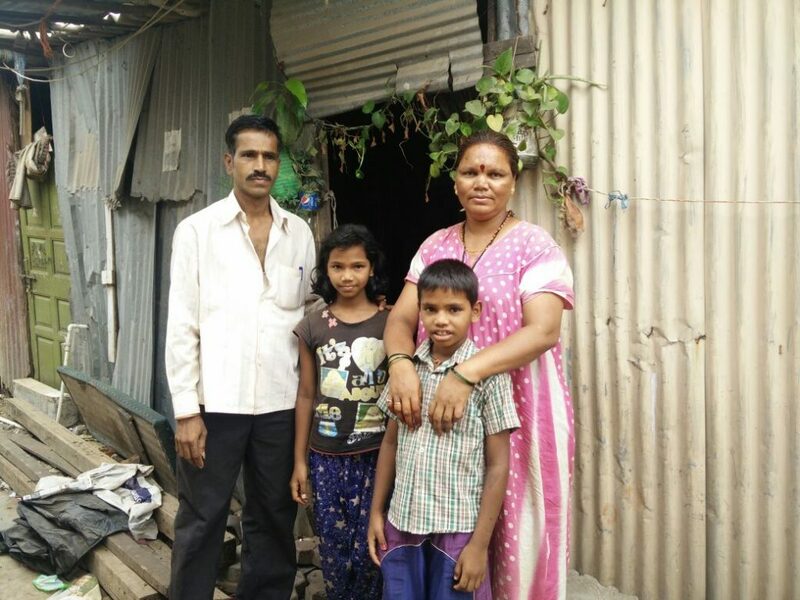 On Wednesday, the Khandale’s home – a modest hutment – was threatened with demolition. “Maajha abhyaas buddhel (my studies will get affected),” the boy keeps repeating as his mother coaxes him to be prepared to move out of the basti soon. “He has been badly affected since the eviction notice was served. All that he has been talking and hearing about since a month is the demolition,” Lalita says. But for Lalita, who works as a sweeper on contract, moving out doesn’t just mean losing her shelter and her son’s education, but also the source of her income. “My house runs on the Rs. 6,000 I earn every month working as a sweeper in the nearby housing colony. If we are thrown out of this place, I will have to find a new job,” she says. 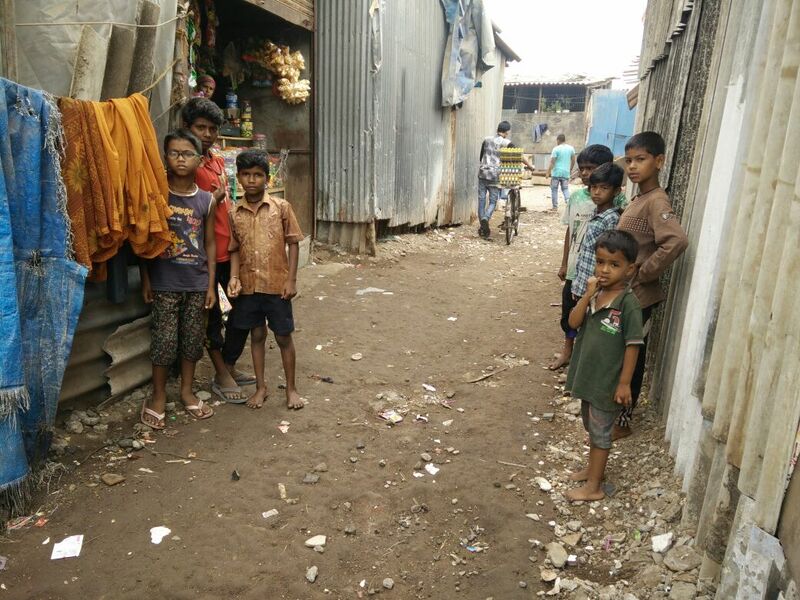 The same uncertainty has affected almost 280 other families of the Bheemchaaya Nagar in Mumbai’s north-east suburbs. The state’s forest department wants to flatten their houses and towards that end, around 280 of the nearly 800 informal settlements in the area were served with an eviction order last month. These houses, according to the department, are built on the protected forest land and are a hindrance to the mangroves in the area. The other 500 hutments in the settlement, although safe for now, also live on in fear. Fearing that the department’s team would soon bulldoze their hutments, the residents, helped by activists, rushed to the Bombay high court, which is hearing the case. The court has now asked the forest and the civic authorities to file their responses and the case is scheduled to come up for hearing on May 28. Bheemchaaya Nagar, located close to a mangrove patch, in Vikhroli, has existed for almost 25 years. The residents here, mostly belonging to Dalit communities, have migrated from other parts of Maharashtra in search of work. Most families have managed to only put together the flimsiest of structures, consisting of a tin roof and constructed with wooden plants and bamboo. Building a pucca structure is beyond their reach-their incomes, as daily wage workers at the construction sites, as domestic helpers and as security guards pay very poor wages. According to the forest department, Bheemchaaya Nagar has undergone phenomenal expansion, with several structures being built after a Bombay high court order; in 2005, the court had declared mangroves as “protected forest land”. 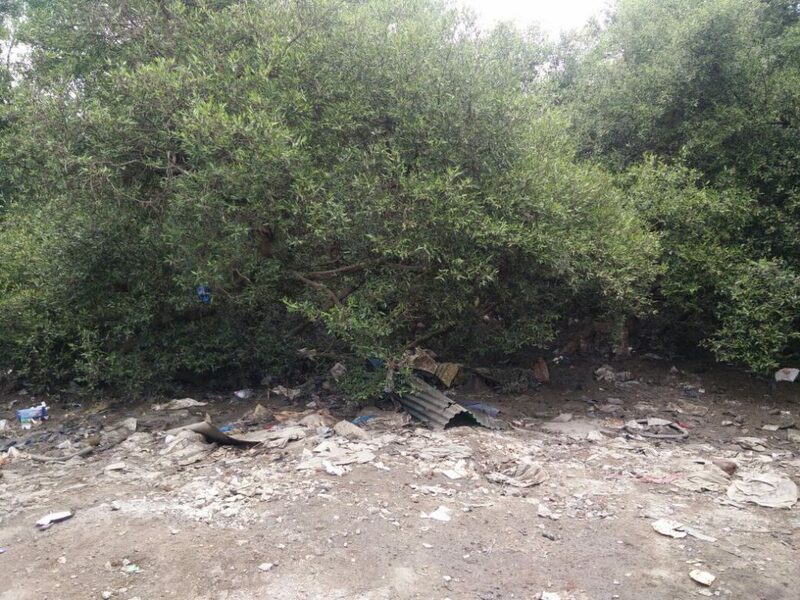 All encroachments on this newly assigned protected land were to be removed and the mangroves were to be protected from further deterioration and hence need to go. Bheemchaaya Nagar, according to the forest officials, fall under the protected land and most houses have been built after 2005. The residents here have challenged this claim and have moved the high court claiming their right to housing and alternate housing in lieu of the existing structures. Jaya Kharat, a resident and an active voice of the Ghar Bachao Ghar Banao Andolan, a movement started in informal settlements in the city against what they call the ‘anti-poor’ policies of the state, says the forest department had first approached them in 2015. “Notices were issued to everyone in the basti asking to prove our right to acquire this space. We had submitted all the proofs,” she said. This, they had felt, gave them some legitimacy if not rights; they were taken aback when an order for eviction was issued in April this year. “This was sudden. They (assistant conservator of the Mangrove Cell) issued the order in April and gave us time until May 23 to leave the space. This was done without any explanation or even any scope to challenge the order,” claimed Sanjeeveni Kharat, one of the oldest residents of the settlement. Since the order was issued, every fortnight a bunch of officials have been visiting the basti armed with a loudspeaker, video cameras and security guards. “They have been making announcements that we are illegally residing here. To ensure we don’t get into any confrontation with them, they also come along with videographers,” Kharat added. With the fear that demolition could be carried out when the elders from the basti are away to work, most women in the area have quit their jobs since last month and are sitting at home. “We would leave our young children alone and go to work. But we are not sure when the forest department would land in the area and start breaking our huts,” said Lalita, who worked on contract as a sweeper with the Municipal Corporation’s transport and electricity company BEST. “I have survived several demolitions in the past and each time we had to start all over again. We can’t afford that,” Khandale adds. On May 23, when the Wire had visited the colony, the men from the family had gone to the high court hoping to get a stay order on the eviction notice. Meanwhile, the forest department has already approached the local police station for security cover and are “preparing for demolition”. Jaya claims the forest officials have issued two contradicting notices in past three years. “The notice issued in 2015 identified us as those residing on the land with City Survey Record (CTS) no. 363. This space while falls under the forest land, it is not built on the mangroves. But the recent eviction order claims we have been squatting on CTS no. 209 and that is a mangrove cover,” Jaya claimed. In Maharashtra, the CTS number is the identification number in the government records to identify a piece of land. The residents here also allege that change in the CTS number was done to ensure the slums in the area was cleared up. While N. Vasudevan, additional principal chief conservator of forest, state mangrove cell, did not clarify the confusion in the notices issues, he told The Wire that his department is not looking to carry out any eviction under the CTS no. 363. 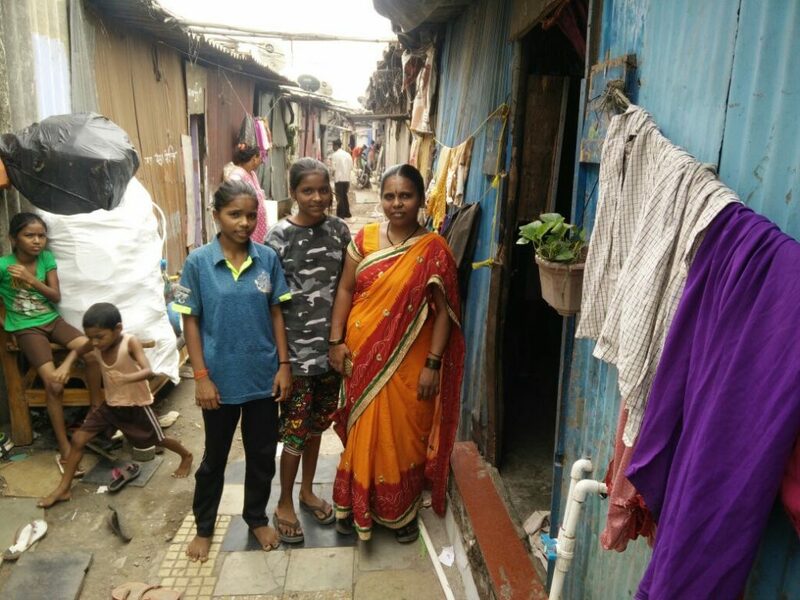 Living with the constant fear of demolition and the challenge of again rebuilding their houses is an integral part of the lives of most slum-dwellers in Mumbai. According to the Slum Rehabilitation Authority (SRA), over 50% of the residents, an estimated seven million, stay in the slums. In a city where formal housing is beyond the reach of over 50% of its population, these slums, even though lacking basic amenities, have provided shelter to the migrants and the urban poor. While the living conditions in almost all slums are more or less the same, the legal issues they face, vary. For instance, squatting on a forest’s protected land has different laws guiding them. As against the 3,293-slum clusters built over municipal owned lands which are governed by the civil laws, those on the forest land have to follow the Environment Protection Act. Vasudevan claims over 6,000 illegal units were built just on the forest land over years of which 5,000 have already been demolished. But housing rights activists claim that the focus has always been on the slums and not on others, more powerful elements, who have been occupying forest land in the city. Bilal Khan of the Ghar Banao Ghar Bachao Andolan told The Wire that water parks have been thriving on the mangrove land and they function without fear of being demolished. “We understand the importance to save the environment. But the burden is disproportionately put on the most marginalised, who live on the periphery and somehow manage to survive,” Khan said. His organisation is also contemplating on registering a case under the Scheduled Castes and Scheduled Tribes (Prevention of Atrocities) for “illegally trying to evict the residents here”. “Almost all of them belong to the Dalit community. They have already proved their right over the land and according to the 2005 ruling. Efforts have to be made to rehabilitate them since they have lived here much before the cut-off date. It makes for a clear case of caste atrocity against the residents,” Khan explained.